The contributions of immigrants, indigenous peoples, and innovators to the way we eat and drink are often overlooked. The Pacific Food & Beverage Museum (PacFAB) showcases the work of those who have shaped, and continue to shape, our nation's cuisine and illustrates the rich culinary traditions of California, the American West, Pacific Rim, and beyond. Led by Director Tracey Mitchell, the Los Angeles-based PacFAB takes an expansive and inquisitive approach to its programs, examining the past, present, and future of food and drink. NatFAB’s growing West Coast operations, the home of Nitty Grits Media, feature gallery exhibitions, curated dinners, mixology seminars, film, television, and radio development, and other programs. San Pedro, owing to its history as a US point of entry for immigrants from all over the world, is home to a rich and deeply textured culinary tapestry. Home to the Port of Los Angeles, the district continues to welcome newcomers from afar and to incorporate new traditions. Admission: Admission is by suggested donation. Gallery Talks: The Pacific Food & Beverage Museum hosts special presentations from authors, chefs, and culinary experts in various fields. The Thoughtful Feast: Curated dinners throughout Los Angeles focusing on particular moments and trends in culinary culture and history. 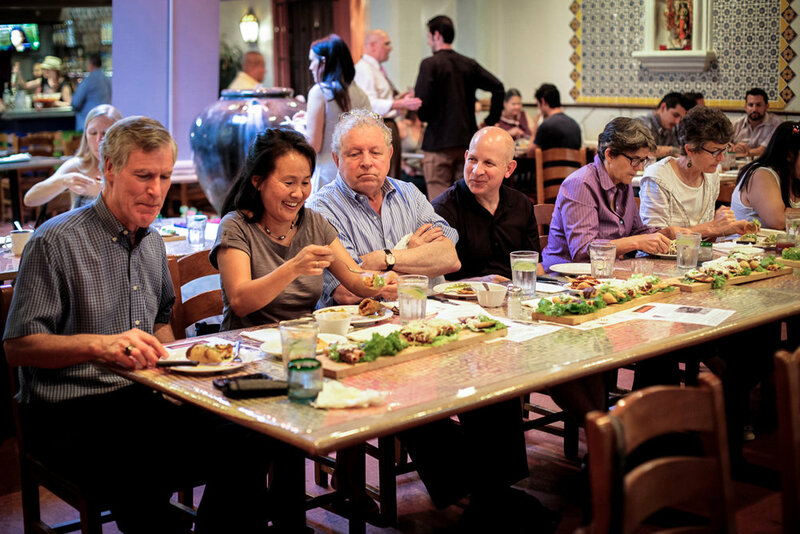 The Pacific Food & Beverage Museum has been offering culinary talks, mixology seminars, and curated dinners to the residents of Southern California since the summer of 2013. Now, PacFAB, also home to The Museum of the American Cocktail's Los Angeles Collection, has a home of its own, in which showcases the work of those who have shaped, and continue to shape, our nation's cuisine and illustrate the rich culinary traditions of California, the American West, Pacific Rim, and beyond. Led by President Philip Dobard, Director Tracey Mitchell, and Board Chairman Adam Fleischman, PacFAB operates a permanent gallery in the San Pedro district of Los Angeles.